“Get a mold done of my face, tomorrow? Really? We need to do that?”, I gulped. I had had this done once before and didn’t particularly enjoy it. Feeling panicky, I had to really, really concentrate so claustrophobia wouldn’t take over. Currently, I’m starting to work on a project that entails mask work; therefore, we needed a form of my face. I show up today, a day filled with many appointments, so the mask making wasn’t the main event, which was probably good, and tried to be nonchalant about the task at hand. 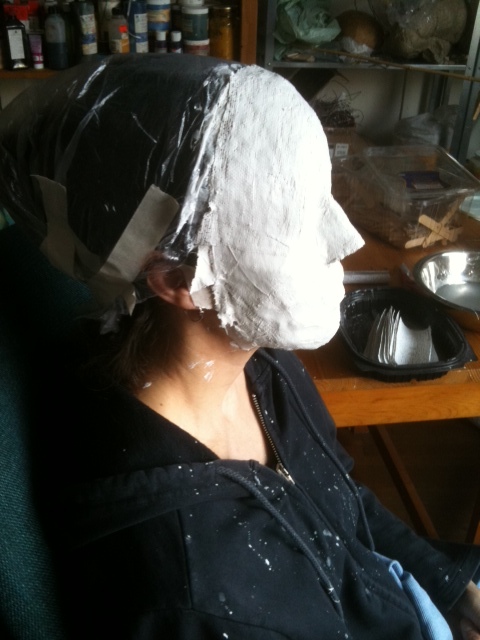 When Marlene first started to apply the wet strips to my face, I imagined I was having a special kind of spa treatment. And, really, when was the last time you let someone touch your face for twenty minutes, and then sit peacefully for 45 minutes in the dark? I found it relaxing and appreciated the rest in my crazy schedule. 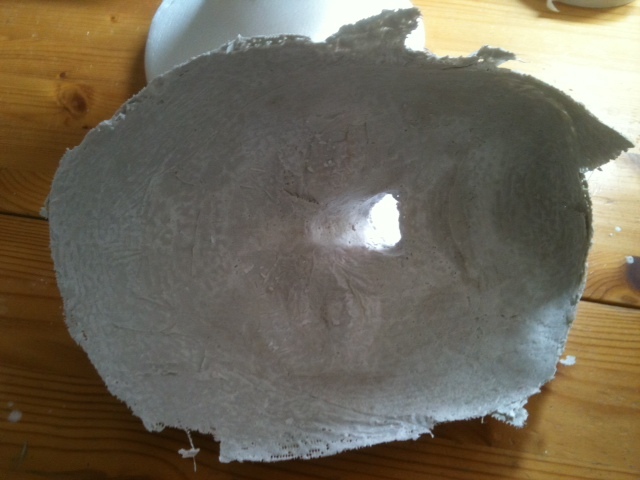 During the drying period, I kind of “zenned out”, and enjoyed the break from facial expressing, and speaking. I could breathe well, and I also knew it would be over in a relatively short period. As I drifted in and out of my quiet thoughts, an unexpected image suddenly popped into my head. I saw myself sitting across from me at the cafe where I had just been with my friend. It was as if I could suddenly see myself from another person’s point of view. I watched myself talk, and express what I had been earlier sharing, and I felt an overwhelming sense of compassion for this person, me. I had a strong sense of just wanting to hug me. Being trapped in this mask, which was actually me, brought forth objective images I had never before experienced. And, it felt warm and reassuring. I think I learned something today…. under my own mask.